You guys know that my go-to hairstyle is messy waves BUT lately I’ve felt the need to switch things up & try out new hairstyles again. So I did a little GRWM (get ready with me) on my Instagram Stories a few days ago to share a sleek & straight pinned back look that was quick & easy. If you missed it, I saved it to my story highlights on my Instagram page here! 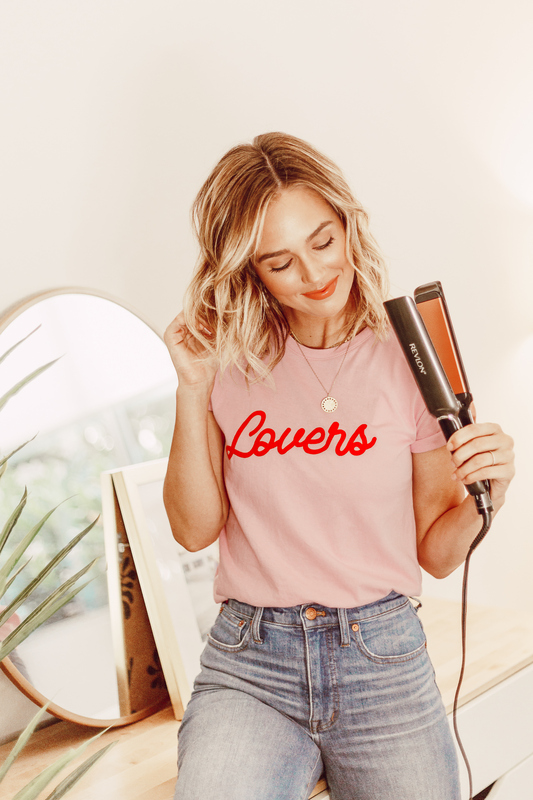 During that GRWM I chatted about a new hair tool that I’m obsessing over, the new Revlon Pro Collection Salon Straight Fast Glide Copper Smooth XL 1 ½” Flat Iron. 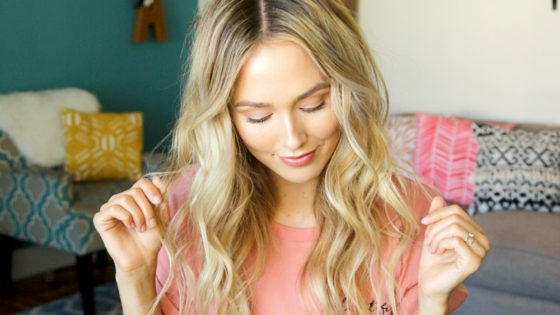 If you saw my mini tutorial, you saw how blown away I was with this product! It took my hair from frizzy to sleek so quickly & left my hair feeling healthy & shiny all at the same time. I honestly couldn’t believe that such an affordable hair tool made that big of a transformation! 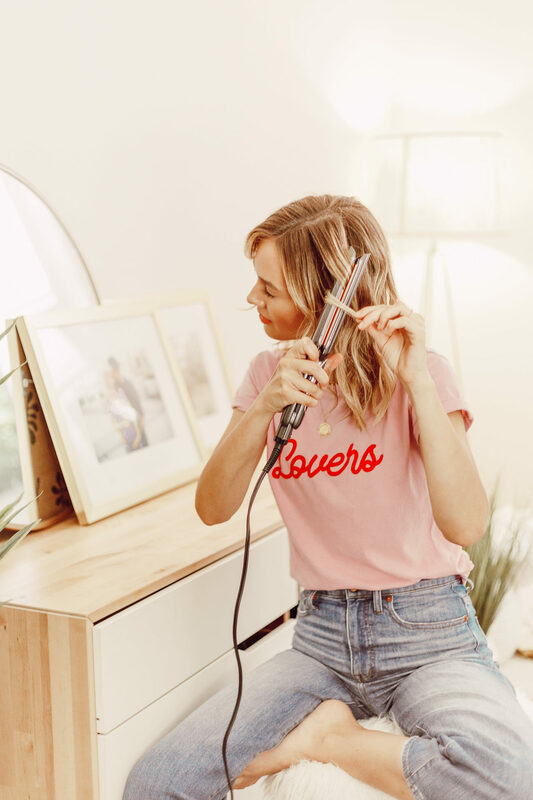 I love that the Copper ensures that heat is distributed faster and more evenly to help reduce damage from over-styling & that this new iron features smoother, wider AND longer plates for 2x more styling power with every pass. 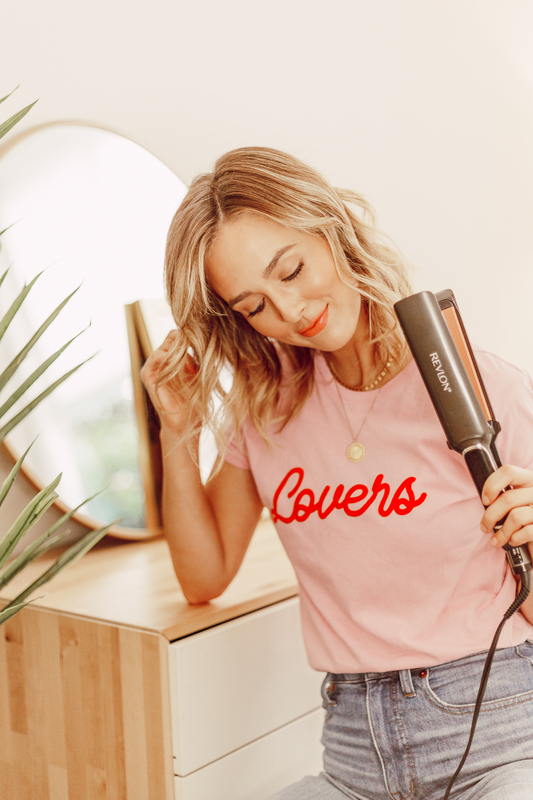 Also, the Advanced Copper 3x Ceramic Plate Technology helps control frizz for up to 24 hours and creates a glossy sheen leaving hair gorgeous all day and night. Plus, you can use this flat iron to create straight looks as well as curl your hair. Genius, I know! I posted a tutorial on my Instagram Stories for you guys to show you just how easy it is too so make sure to check that out! 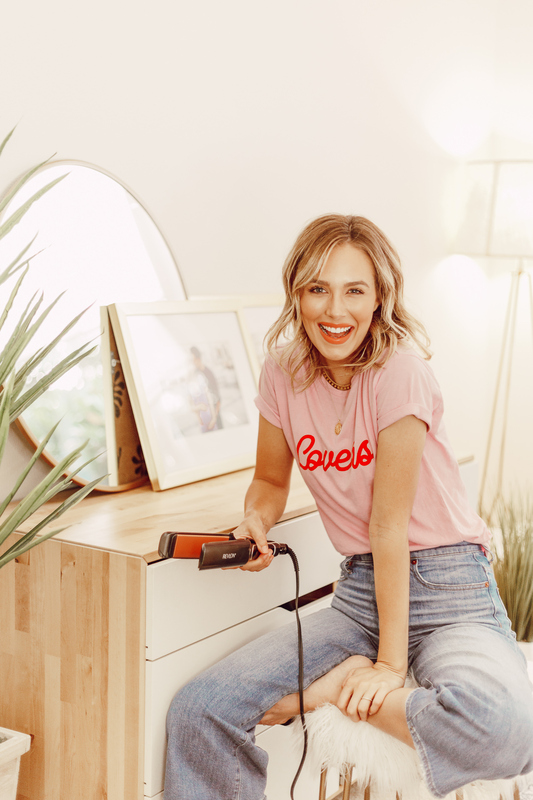 I haven’t found a hair tool that I love this much in forever & I couldn’t wait to share this product with you guys. I can’t recommend this flat iron enough & I loved showing you guys on my Instagram Stories how easy it is to use & how incredible the results are. 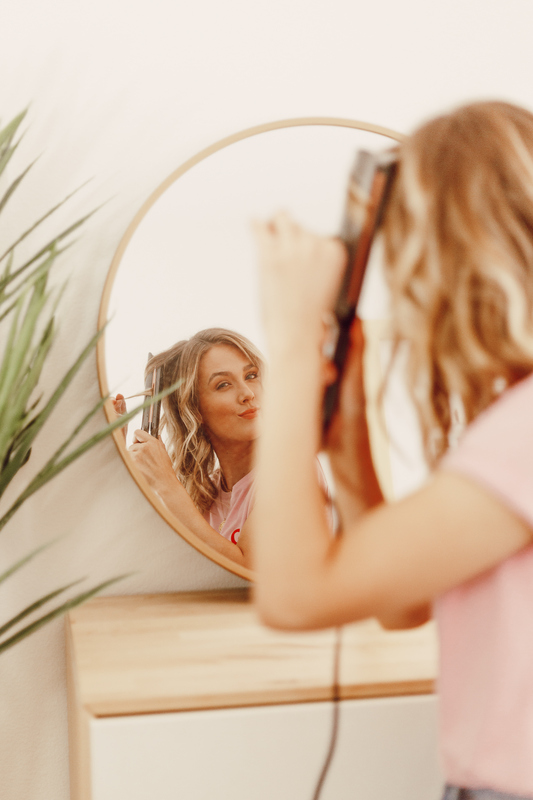 If you’re in the market for a new hair tool, definitely purchase this one HERE because you can’t beat the quality & the best part is that it’s affordable! A major win-win in my book! 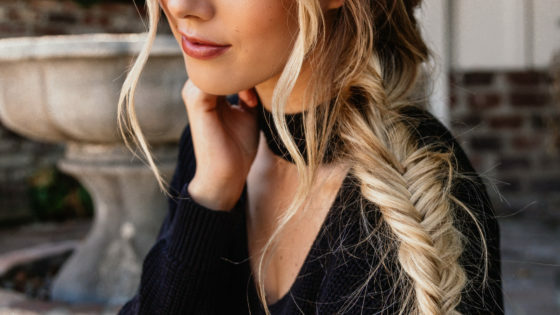 Do you guys want to see more hair tutorials? Comment below & let me know!